3 เมษายน 2562 | 10:33 น. 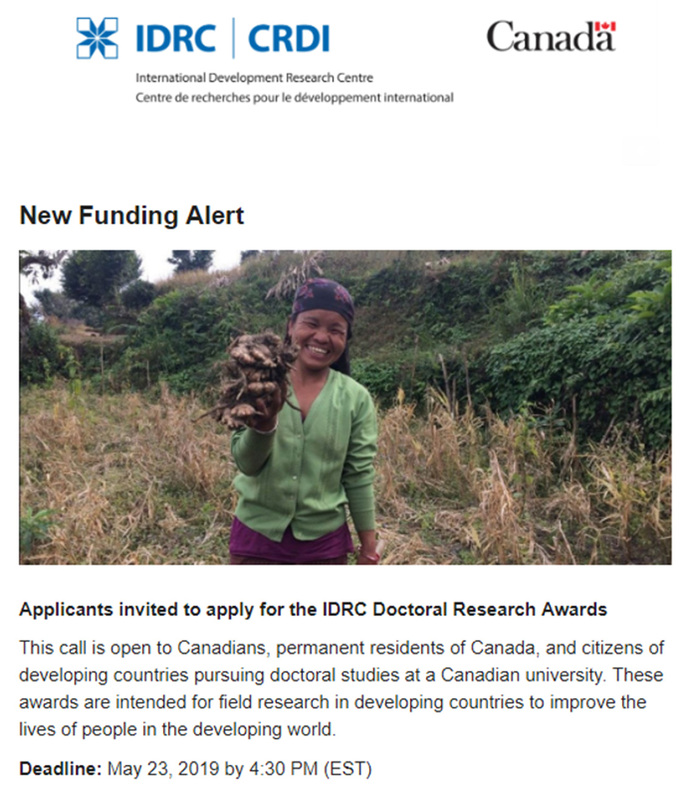 This call is open to Canadians, permanent residents of Canada, and citizens of developing countries pursuing doctoral studies at a Canadian university. These awards are intended for field research in developing countries to improve the lives of people in the developing world.